journal, edited by MDPI AG, is proud to be the organizer and sponsor of this first International Electronic Conference on Metabolomics. Contributions dealing with any discipline promoting metabolism and metabolomics will be considered. The conference will be held online (www.sciforum.net/conference/iecm-1) from 1–30 November 2016, enabling you to present your latest research to the scientific community and to have the opportunity to participate in fruitful exchanges with academic and industrial groups from around the world. Participation, as an author or a visitor, is ABSOLUTELY FREE of charge (simply create an account on the home page). Proceedings from the conference (abstracts) will be published after the event in the online open access journal, Metabolites. On behalf of our active scientific committee and dynamic editorial staff, we warmly invite you to join us at this first International Electronic Conference on Metabolomics and we look forward to posting your contribution. A/Prof Peter Meikle is a NHMRC Senior Research Fellow, Program leader for Metabolism and Head of the Metabolomics Laboratory within Baker IDI Heart and Diabetes Institute. 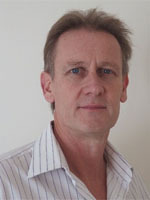 He is Editor-in-Chief of Metabolites and holds affiliate positions at the University of Melbourne, Monash University and the University of Sydney. The Metabolomics Laboratory has a focus on the dyslipidemia and altered lipid metabolism associated with obesity, diabetes and cardiovascular disease and its relationship to the pathogenesis of these disease states. This work is leading to new approaches to early diagnosis and risk assessment as well as the development of new lipid modulating therapies for chronic disease. Metabolomics Modeling: Experimental and computational advances in the analysis of metabolic flux; metabolic processes analysis and modelling; quantitative metabolomics application in metabolism modelling; computational modelling of metabolic networks; computational analysis of the effects of genetic and nutritional modification on cell metabolism and growth. The 1st International Electronic Conference on Metabolomics is free of charge for contributors and visitors. Authors are invited to submit the abstract by 15 September 2016 and acceptance of the abstract will be decided by 30 September 2016. Author(s) will be then asked to present their work in the form of a slide show (or a video)by 20 October 2016 (see Instructions for Authors). All accepted submissions will be displayed on the internet for discussion, at http://www.sciforum.net/conference/iecm-1 , from 1 to 30 November 2016.Proceedings from the conference (abstract) will be published after the event in the online open access journal, Metabolites. Authors are also welcome to submit the extended version of their work for consideration and publication in a special issue of this journal. 20% discount is offered for all the authors participating in this conference. The scientific committee will consider all presentations and invite authors of the most outstanding work presented at the conference to publish free of charge in the Metabolites Special Issue.We hope you are interested in participating in this online conference and look forward to receiving your contributions. Researchers interested in attending the conference must submit the abstract, on this website and no later than 25 September 2016. After the abstract is accepted by the Scientific Committee by 30 September 2016, the authors will be invited to prepare a full description of their work preferably under the form of a PowerPoint presentation, and to upload it before 20 October 2016 to ensure final check. The presentations will be accessible on http://www.sciforum.net/conference/iecm-1 during the conference time. Authors are encouraged to prepare a power point presentation using the template provided by the Conference. Slides will be displayed directly in the website using Sciforum.net's proprietary slides viewer. They can be prepared in the same way as for any traditional conference where research results can be presented. Slides should be converted to the PDF format before submission so that our process can easily and automatically convert them for online displaying. MDPI AG, the publisher of the Sciforum.net platform, is an open access publisher. We believe that authors should retain the copyright to their research works. Hence, by submitting a contribution to this conference, the authors retain the copyright of their contribution, but they grant MDPI AG the non-exclusive right to publish this contribution online on the Sciforum.net platform. This means the authors can easily submit their contribution to any scientific journal at a later stage and transfer the copyright to its publisher (if required by that publisher). Clinical Metabolomics: Analytical Tool for Drug Development. It is recognized that altered metabolic states reports on the chronic and acute disease statuses. Decades of research have shown that metabolism is not a self-regulating network operating independently but rather heavily integrated into every cellular process and involved in organ system functions. Therefore global monitoring of metabolic processes is recommended for more comprehensive understanding of the initiation and advancement of disease. Mass spectrometry based metabolomics, in particular, demonstrates tremendous promise in delivering high throughput quantitative information on alterations in metabolism associated with disease onset/progression and response to pharmaceutical intervention. Recent advances in mass spectrometry and informatics tools have facilitated emerging in house OMICS platforms capable of translating biological output into viable therapeutic candidates and assist in stratifying patient populations. At BERG, we have implemented an industrial level high throughput metabolomics platform providing both high quality and depth of information allowing for reliable and broadest capture of the metabolome for the pre-clinical and clinical matrixes analyzed. Global metabolomics platform dedicated for theranostic and clinical studies as well as tracer metabolomics are harvested to facilitate CDx biomarkers discovery in a unique way. Highlights of the BERG’s in-depth patient stratification approaches as well as biology based drugs will be presented. This study on interstitial cystitis (IC) aims to identify unique urine metabolomic profile associated with IC, which can be defined as an unpleasant sensation including pain and discomfort related to the urinary bladder, without infection or other identifiable causes. Although the burden of IC on the American public is immense in both human and financial terms, there is no clear diagnostic test for IC, but rather it is a disease of exclusion. Very little is known about the clinically useful urinary biomarkers of IC, which are desperately needed. A comprehensive metabolomic profiling was performed using gas-chromatography/mass-spectrometry to compare urine specimens of IC patients (n=42) or health donors (n=19). Further study identified fifty-two IC-associated differentially expressed metabolites panel, including e rythronic acid, histidine, and tartaric acid et al. A clear stratification of IC patients from healthy controls was achieved (AUC 0.8968). Given that urine analyses have great potential to be adapted in clinical practice, this finding has the potential to be used as indicator for IC and to uncover important clues about underlying disease mechanisms. Alzheimer’s disease (AD) is the most common neurodegenerative disorder among older people, but nowadays there is no cure mainly because its etiology is still unclear and existing diagnostic tests show great limitations, including low sensitivity and specificity, as well as the impossibility to detect characteristic symptoms at early stages of disease. Thus, the objective of this work was the optimization of metabolomics approaches based on mass spectrometry in order to investigate AD pathogenesis and discover potential biomarkers for diagnosis. With the aim to get a comprehensive metabolome coverage, multiple analytical platforms were developed, including screening procedures based on direct mass spectrometry analysis and hyphenated approaches with orthogonal separation mechanisms such as liquid chromatography, gas chromatography and capillary electrophoresis. The application of these techniques to serum samples from patients suffering from Alzheimer’s disease and mild cognitive impairment enabled the identification of numerous metabolic alterations linked to pathogenesis of this disorder and its progression from pre-clinical stages, including abnormalities in the composition of membrane lipids, deficits in energy metabolism and neurotransmission, and oxidative stress, among others. In turn, these metabolomics perturbations were also observed in multiple biological compartments from the APP/PS1 model, including serum, brain, liver, kidney, spleen and thymus, thus demonstrating the utility of these transgenic mice to model Alzheimer’s disease. The comparison of different brain regions evidenced that the most affected areas are hippocampus and cortex, but other regions were also significantly perturbed to a lesser extent, such as striatum, cerebellum and olfactory bulbs. Furthermore, alterations detected in peripheral organs confirm the systemic nature of this neurodegenerative disorder. Accordingly, it could be concluded that the combination of complementary metabolomics platforms allows studying etiology associated with Alzheimer’s disease in a deeper manner. Metabolomics has demonstrated a great potential in numerous biomedical research fields in the last years, such as the study of the underlying pathology of diseases, discovery of diagnostic biomarkers or drug development. Nowadays, the main challenge in metabolomics is to obtain comprehensive and unbiased metabolomic profiles due to the huge complexity, heterogeneity and dynamism of metabolome. For this purpose, mass spectrometry represents a very interesting analytical platform, since complexity of metabolome may be overcome through the use of different orthogonal separation techniques, including liquid chromatography, gas chromatography and capillary electrophoresis. Alternatively, direct mass spectrometry analysis, either by direct infusion or flow injection, has been postulated as an alternative in metabolomics, complementing hyphenated approaches. These techniques exhibit several advantages such as the ability for high-throughput screening, fast analysis and wide metabolomic coverage, since there is not exclusion of compounds due to the separation device. The present work explores the potential of metabolomic platforms based on direct infusion mass spectrometry for metabolic fingerprinting of serum samples. The most important issues to be considered in this type of approaches were reviewed, including sample handling, comprehensive analysis, data processing, as well as further identification of metabolites and global characterization of metabolomic fingerprints. C. glutamicum is a bacterium used for biotechnological production of amino acids and other metabolites. Arginine is of commercial importance in cosmetic and pharmaceutical industries and as food additive. Here metabolomics and proteomics data were acquired from three C. glutamicum mutant strains and compared to wildtype extracts to gain insights into changes introduced by the rational strain design with the aim to increase arginine production in the bacterial workhorse. Several known compounds in the arginine biosynthetic pathway could automatically be identified using the MetaboScape software. Label-free proteomics data evaluated by MaxQuant revealed significant changes of proteins involved in the arginine biosynthesis pathway. Mapping alterations detected by both OMICS approaches on biochemical pathway maps enabled quick formulation of hypotheses for the observed changes in the biological context. Our results demonstrate that combination of non-targeted omics techniques enables in-depth investigation of changes in C. glutamicum caused by rational strain design to increase production of desired metabolites. Additionally, non-targeted metabolomics data evaluation resulted in the tentative identification of several unknown compounds — significantly changed in mutant strains — as gamma-glutamyl dipeptides. Metabolic Investigations of Molecular Mechanisms Associated with Parkinson’s Disease. Clinical applications of metabolomics,including but not limited to: understanding metabolic diseases, biomarker discovery,inborn errors of metabolism,heart disease,and cancer metabolism/metabolomics. Experimental and computational advances in the analysis of metabolic flux; metabolic processes analysis and modelling; quantitative metabolomics application in metabolism modelling; computational modelling of metabolic networks; computational analysis of the effects of genetic and nutritional modification on cell metabolism and growth.